Chill at the Surfer's Shack! This cozy, one-room cottage features a well-stocked kitchen, a full bed, and a full sleeper sofa. Relax in the bohemian-styled bedroom. You can watch the Pacific waves from the dining area. 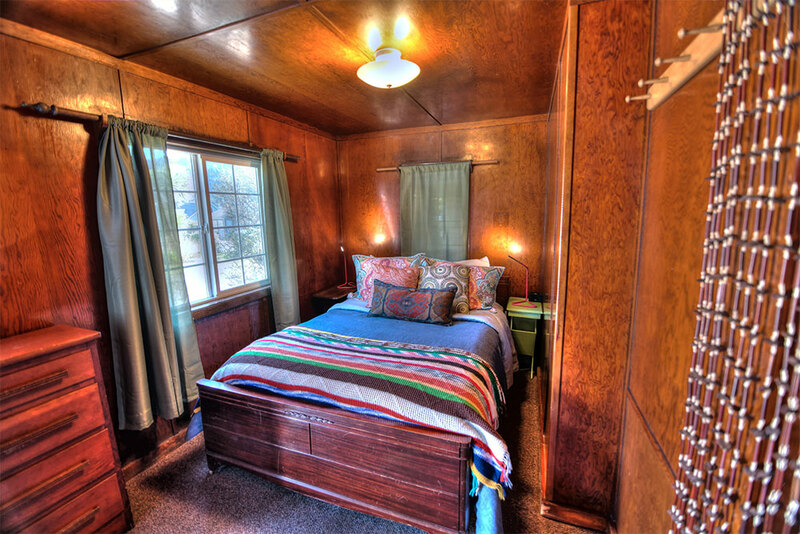 The Surfer's Shack overlooks Yachats State Park, less than a minute's walk away. 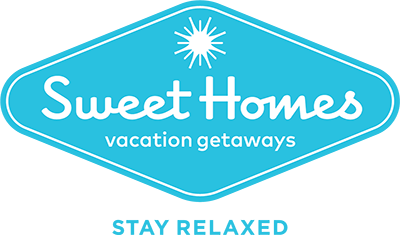 When your day is over, relax with a movie in the surf-themed living room, or spend some time online using the complimentary WiFi. Then crack open a window and fall asleep to the sounds of the Pacific! 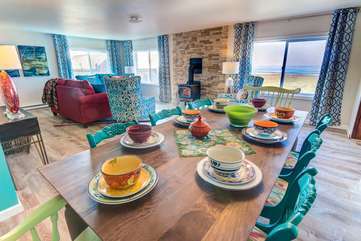 â€‹â€‹â€‹â€‹â€‹â€‹â€‹Rent just one cottage, or large groups can rent all the available cottages, the Rock Park Beach House, and the onsite Rock Park A-Frame which together can accommodate up to 38 people. The historic and lovely Rock Park is perfect for a romantic getaway, business retreats, or your next big family reunion! One Full bed in the bedroom and a Full sleeper sofa in the living room. Standard: 2 night minimum; Mid-Season: 3 night minimum; Summer & Holidays: 3-4 night minimum. Cancellations & Refunds: The total cost of the reservation, less a 10% service charge, is refundable up to 45 days prior to check in. After the 45th day to check in has passed, there is no refund. Check-in any time after 4:00pm on your date of arrival. Age Requirement: The primary registered guest must be at least 26 years of age. The majority of guests must be over 25, or children under adult supervision.